Christian Toms is a member of Brown Rudnick’s International disputes team. He has experience in a wide range of disputes, in particular those arising from complex financial arrangements and investments, as well as director/shareholder and joint venture disputes. His previous experience at the Criminal Bar also gives him an invaluable insight when advising on regulatory/White Collar matters. Chris acts for a diverse group of international clients, having previously acted for and against investment banks, hedge funds, pension funds and other investors, as well as individuals and corporates in industries as diverse as technology, construction, motor racing and pharmaceuticals. Chris also has experience in confidential applications for privacy injunctions, and competition law related matters. 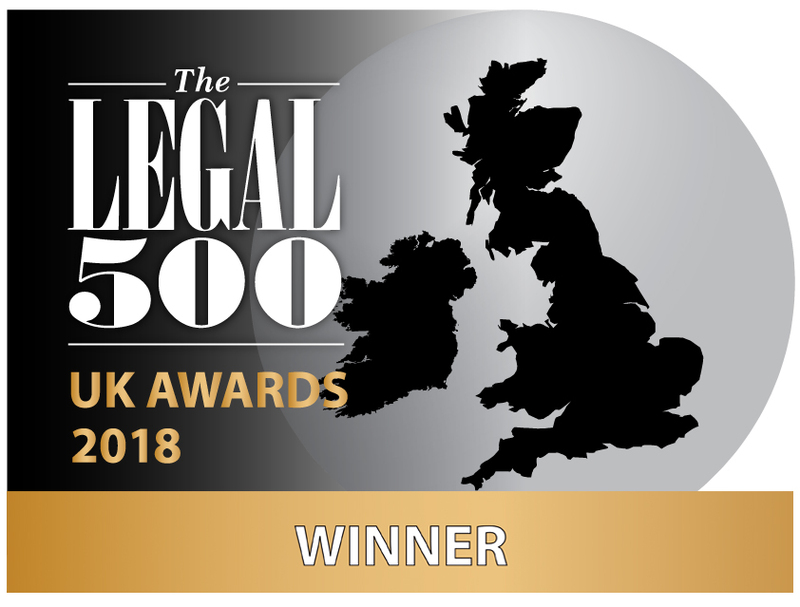 Chris is recommended by the Legal 500 (2017) for the areas of Commercial Litigation and for Banking Litigation: Investment and Retail, notably “his particular experience in complex financial disputes, arising from investment banking and funds work”. Chris was also recognised each year in the London Super Lawyers List for the area of Commercial Litigation. Chris has been described as “tenacious” (Legal 500, 2015) and “attuned to clients’ interests” (Legal 500, 2014) and “noted for his helpfulness and intelligence” (Chambers UK, 2013). He was a lead member of the “pugnacious and effective“ Brown Rudnick team who acted for a Dutch pension fund against Goldman Sachs (Legal 500, 2014). 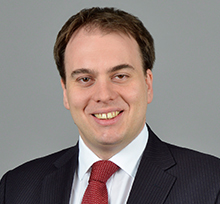 Before joining Brown Rudnick, Chris was an associate barrister with the then Lovells LLP. Prior to that, he spent a number of years as a tenant in London chambers working as a criminal barrister, defending and prosecuting in a wide variety of cases. In addition to fee earning work Chris has a keen interest in pro bono and plays an active role in supporting the Firm’s initiatives in this area. Advising a global pharma business with operations in India, Europe, Hong Kong and the US, in relation to joint venture disputes with shareholder/directors. Advising the Joint Administrators of a former high-street telecommunications provider as to the existence of potential claims related to the insolvency of the business. Advised in connection with freezing injunctions and related issues arising out of legal actions being pursued by a Russian bank. Advised a Cayman based Investment manager in respect of holdings in an Irish listed company and related litigation proceedings before the Irish High Court. Advised an investment fund in respect of disputed contractual entitlements under Notes acquired pursuant to the terms of a CMBS issue. Acted for a client in urgent injunctive proceedings in respect of proceedings involving Rhode Island, New York, US Federal Bankruptcy, and English law. Advised on potential Judicial Review proceedings against the Welsh Assembly and Welsh Audit Office. Acted for a Founder shareholder of an online beauty business in respect of a share value dispute with fellow shareholders/directors. Advised a US fund in relation to hybrid instruments issued in Italy. Advised a client with operations in Russia in respect of a franchise dispute with a global fast-food brand. The matter is governed by ICC arbitration and involves consideration of the impact of geopolitical events in Russia and Ukraine. Advised a US fund in relation to potential claims under a trade confirmation against an Icelandic Bank and an international Investment Bank. Acted for an Austrian Investment firm in dispute with a US Bank arising out of a high grade CDO transaction. Acted for various individuals in connection with derogatory and defamatory statements posted by various other individuals on online bulletin boards. Regularly act for AIM listed entities and their related group companies in connection with commercial disputes and internal Director/Shareholder matters. Appeared as co-counsel in an LCIA arbitration on behalf of an LLP in dispute with one of its members over termination rights. Acted for an entity with specific territorial rights to a global food franchise brand, in dispute with certain of its shareholders and an international investment bank. Acted in a joint venture dispute subject to ICC arbitration in Vienna involving various jurisdictions including the BVI, Croatia and Malta. Advised an investment fund in respect of a potential Cayman dispute arising out of a purported in specie redemption. Acted for a Middle Eastern based family investment vehicle in a dispute with a global investment bank arising from losses suffered through investments in a hedge fund portfolio. Acted for an Investment Bank in a contractual claim for recovery of an acquisition success fee. Acted for a Canadian mining company in a HKIAC arbitration dispute with its Chinese joint venture partner over an energy project in Botswana. Acted for one of the largest Coal producers in the world in a joint venture dispute relating to a mining project in Mongolia. Acted for a leading car insurance brand in a joint venture dispute with its partner, a leading UK food retailer. Acted for one of the construction companies responsible for upgrading key parts of the London underground rail network in an £11 million claim that went to adjudication. Advised a company involved in running global Motor Sport events on the defense of a threatened claim in the region of €2-3 million. "Forex Claims: What, Who, How...And What Might Be?"